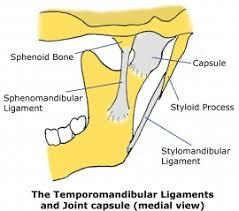 The proper name for the jaw joint or the TMJ is the temporomandibular joint, i.e. 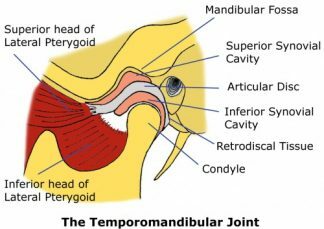 the joint between the temporal and the mandibular bones. Within the joint, there is padding and a ligament that can be affected by the stress situation of teeth grinding and muscle spasm. This can lead to jaw clicks, crepitus (grinding sounds) and pain. The padding does not stay properly on the bone of the lower jaw and can get in the way of opening and closing. Sometimes the jaw locks. There are also some muscle fibres that are attached into the joint, from the lateral pterygoid muscle. As you can see, there is an intimate relationship between the joint, muscles and teeth. The other element that adds to the complexity of this relationship is ligaments and tendons. These have receptors that detect the amount these structures stretch. This generates a feedback to the brain to prevent muscles and joints from excessive or unusual movements. If these receptors are damaged or overworked, then the joint and muscles do not operate correctly. This can cause the jaw to operate with too much movement which puts strain on the jaw joint and its padding. This padding is called the articular disc. This can lead to the padding between the jaws to not sit properly on the lower jaw. However, what is amazing is the body’s ability to adapt. 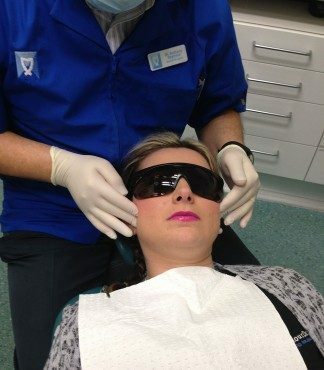 Take for example a high spot on a filling. For some people this is extremely noticeable, whilst others they would not have a clue. People can wear their teeth away and not be aware while others any grind of the teeth is debilitating. The point is not feeling you have a problem DOES NOT mean you don’t have a problem. Some wear can be due to a diet that causes the teeth to be soft and promote wear, by inadvertently playing with your teeth.